Scan your barcode, the molecular one! What comes to your mind when you think of barcodes and plastics? Supermarket? Don’t worry! This post is not about grocery shopping; it will introduce to you the new kind of barcode, molecular barcode, encrypted within the plastic itself! Feeling confused? Let’s dive in! The story began with the concern of material labeling. In the past, DNA has been used to tag materials. The four basic units of DNA (so-called A, F, C, G) were arranged in specific sequences, and therefore could be used to encrypt information and identify materials. However, DNA degrades easily as it is sensitive to heat, which made it difficult to retain in material processing. Researchers have been exploring ways to mimic DNA applications in material labeling and this has lead to the development of molecular barcodes! In order to generate these barcodes, we need two ingredients: basic units that play the information-carrier role, and the host that holds the basic units in a particular pattern. Figure 1 shows two molecules that were chosen as the basic units. Both contained a COONH group which were capable to form short chains called oligourethanes. These chains were chemically robust and thermally stable, therefore enabled the oligourethanes to resist harsh conditions during material processing. Figure 1 The structures of 0-bit and 1-bit oligourethanes. In the past, researchers have used a single oligomer chain to store information. In this study, they have brought it to the next level by using a set of oligomers with different masses, which could increase security level for more information storage. Using digital conventions, researchers have named the methylated synthon as 1-bit, and its non-methylated analogue as 0-bit (Figure 1). They then arranged these molecules into short chains that could dissociate in a specific pattern (Figure 2). This arrangement was the key to store and encrypt information. 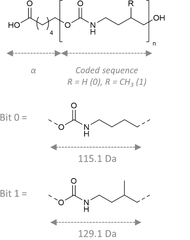 Figure 2 Example of a coding sequence with the oligourethanes. Polystyrene (PS), polyvinylchloride (PVC), and polyethylene terephthalate (PET) may have been well known as our daily-life plastics. In daily routines, we may enjoy lunch in a take-away PS box, and take clean water through PVC pipes to a PET bottle. Now, these ordinary plastics were transformed into molecular barcodes! By inserting the short chains of oligourethanes in these plastics at specific sequences, these easily accessible plastics can turn into barcodes that could be ideal for material labelling. Both the host and the oligomers were mixed together in their common solvent. The mixture was then poured onto glass plates that created a thin film molecular barcode after evaporating the solvent. By now, information has been encrypted within the chains of molecules. Reading the message of molecular barcode is like identifying molecular structures. If one asked an analytical scientist on how they identify substances, they would probably pop up with the answer, mass spectrometry (MS). 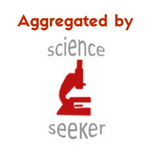 MS breaks down molecules into smaller fragments and reports their mass distribution. As each molecule has their own unique chemical properties, they have their own characteristic pattern of fragments. In fact, the researchers here have also used tandem mass spectrometry (MS/MS) for decoding, where the molecule is broken down twice. This could generate a more specific pattern of fragments for each molecule and therefore increase accuracy of identification. The decoding protocol was as followed. First, the researchers incubated the molecular barcode films in methanol, which did not dissolve the host (PS, PVC and PET), but it partially solubilized the oligourethanes. This allowed the oligourethanes to be broken down just in the optimal amount for MS analysis without further preparation. Then, MS generated a spectrum of various mass distributions (first dimension fingerprint), while MS/MS sequenced each individual peak out of that distribution (second dimension fingerprint). This revealed the sequenced-information embedded in each oligomer (Figure 2). With this technique, no long chains of oligomers were required, and therefore simplified the synthesis for molecular barcodes. 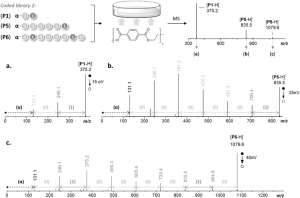 Figure 3 The top right diagram showed the mass spectrometry spectrum of the PET coded with oligourethanes. The spectra below were the chromatograms of oligomers P1, P5, and P6, respectively, obtained after the MS/MS analysis. 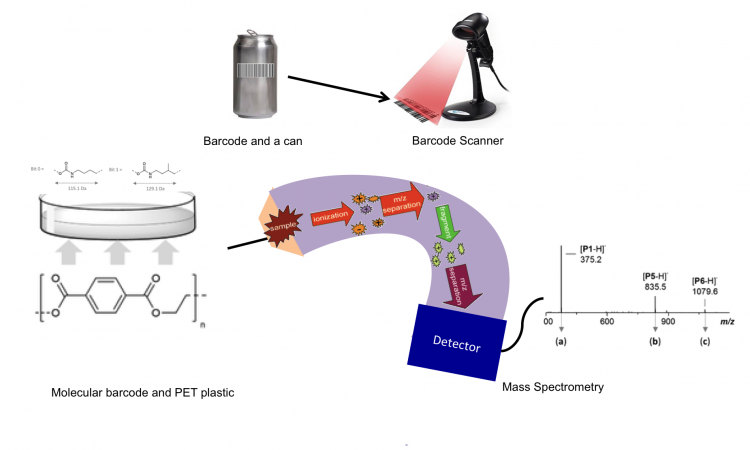 The study has successfully demonstrated the concept of molecular barcodes by sequence-coded oligourethanes in common plastics (PS, PVS and PET). They have revealed the possibilities of coding and decoding with a set of oligomers with different masses while using direct MS analysis without the need of prior preparation. These opened up a new door to identification and traceability of plastics!